The proliferation of online media in today's world could perhaps make you naïvely assume that every business is adjusting their strategy to adapt the web. However a recent report published by the UK government examining the current digital capabilities of small and medium enterprises gives evidence to indicate otherwise, with a staggering 36% of small businesses interviewed stating they still have no online presence at all, either through a website, or being listed on online directories. The research, carried out by BMG Research and Durham University, surveyed over 800 British businesses to understand their digital presence and the supposed barriers to entry and found that for medium sized businesses the proportion jumps to 94% who do have a website. So what’s the problem for small businesses? Perhaps there aren’t as many? Well… no. Currently there are an estimated 5.2 million businesses in the UK, with small firms accounting for 99.3 percent of all private sector businesses. If anything there’s more small businesses, so why the lack of presence online? 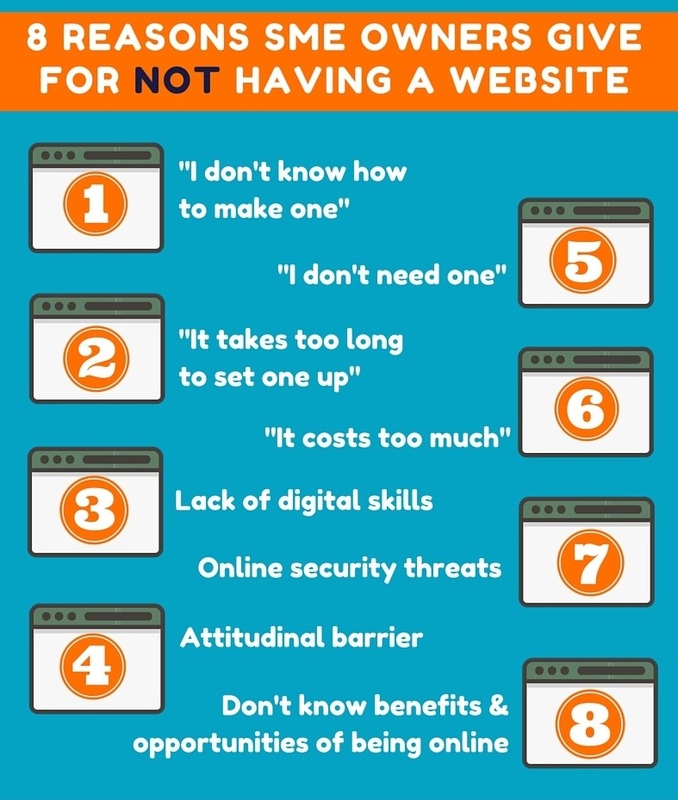 If you own a small business and fall into the category of not using the internet to improve your conversion or sales then keep reading as we examine some of the key findings from the report, de-bunk some of the myths surrounding websites and hopefully convince you why your business can benefit from the web. If you do have a website, then stay tuned until the end as you may fall into your own category without even realising. - You don't have the time, money or knowledge to set up a website. Perhaps you think making a website for your business is too difficult, time consuming or costly. Well, you are right, and wrong. Working with a web design agency to build an all-singing, all-dancing website can be expensive. However you would only really have to work with a web design agency if you are planning on starting an Ecommerce business that needs to incorporate lots of different development elements. Alternatively, if your business is simply looking to run a CMS website (not sell online) the possibilities with website builders are endless. For example, with Kommand website builder you can have a website up and running in a matter or hours. The packages start from just £9 per month and are easily edited using the drag and drop facilities. - You lack digital skills or don't know the opportunities and benefits. Providing a 24/7 way for people to find out more information about your business. Building your business's credibility and exposure. It might also be the case that you are already aware of website builders but still think that it will be too difficult to run a site as you don't have a logo or branding. Kommand web designers can design you a logo, and your website if you don't think you have the creative eye, in a matter of weeks. - You have an attitudinal barrier towards being online or don't understand potential online security threats. It is a good idea to think about the changing habits and attitudes of customers. Whilst at one time having a website would have been a luxury for small businesses, today it is almost an expectation that a customer will be able to find you online, if even just to get your number to call you. By considering the needs and thoughts of your customers you will be in a better position to understand the importance of how a website can help customers find your services, build trust and potentially do business with you. You may also be wary of having a website in case of a possible hack. If a hacker gains access to a website then they can alter content and damage your reputation. Any good website builder will be able to override any potential issues if necessary take your site down until the issue is fixed. Are You In the 64% of Small Business Owners With a Website? 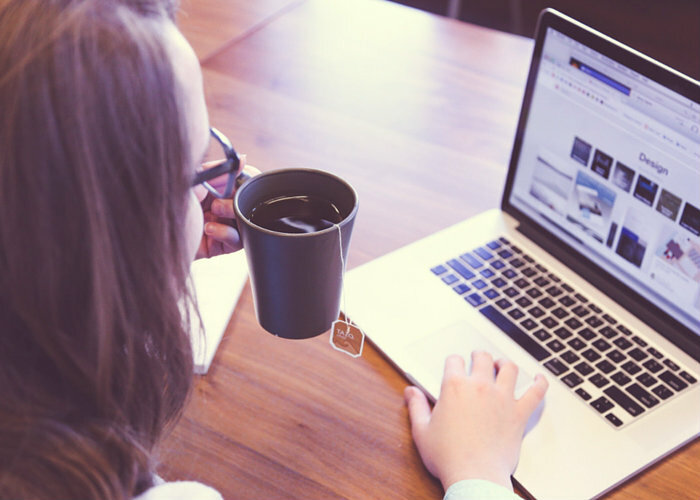 If you have made it through the points above and are thinking, 'I do have a website for my small business so my business must be performing better than those without' then that's great, but have you considered whether your website is actually any good? The web has changed a lot since 2005, your website should move along with the trends. In 2005, YouTube and Reddit had just been launched. Today 300 hours of video are uploaded to YouTube every minute and Reddit has around 5,000,000 page views per day. Since 2005 mobile has also become an intrinsic part of everyday life. Having a website will help your business capture the attention of the growing number of mobile searchers. If you're still unconvinced or want to learn more about website builders then you can read this post. Alternatively, you can contact one of our team.